While my routine usually doesn't falter, my products do vary with the seasons. I begin to notice a shift in my skin's chemistry during the colder months. I get dry patches all over my body, and flaky doesn't even begin to describe my skin. With these new symptoms, there are products I incorporate into my routine to try and combat the cold weather. For this month I've decided to combine all of my favorites I'm religiously using for you. Whether you are dry or oily, these products are fantastic for your skin and body. Who knows, you might even have a few of these turn into your must-haves. This is a new purchase for my bathroom that I have fallen madly in love with. I received a travel tube of the regenerator in my October Glossybox and loved it so much I went out and bought the full bottle as well as their toner. I've had a lot of exfoliants that irritate my skin, cause break out, and make my skin patchier than before. This is not one of those products. It has gentle beads in it that make the formula perfect, and it leaves my face feeling clean and soft. The toner gives the same beautiful complexion as well. After using this just once, I could see a difference in my face. This magical bottle gave me that squeaky clean feel without drying out my face (always a plus in my book). If you have sensitive skin as I do, this is the duo you will absolutely love. I have used this for years and probably will until the day I die. While there are so many sugar scrubs out there, I've always gone back to this brand. Not only is it inexpensive, but they have a way of making their formula moisturize your skin while eliminating any dead that lays on top of your skin. They come in several different scents, but I usually go between the coffee bean and Morrocan rose. This is such a great brand that I've usually buy them as stocking stuffers for my family and friends. You should always exfoliate your skin, but this is vital during the winter months. A combination of this and a great body butter has always been the best remedy for getting rid of my flaky situation. I've used Not Your Mothers Sea Salt Spray before and thought it wasn't too bad for the cost. 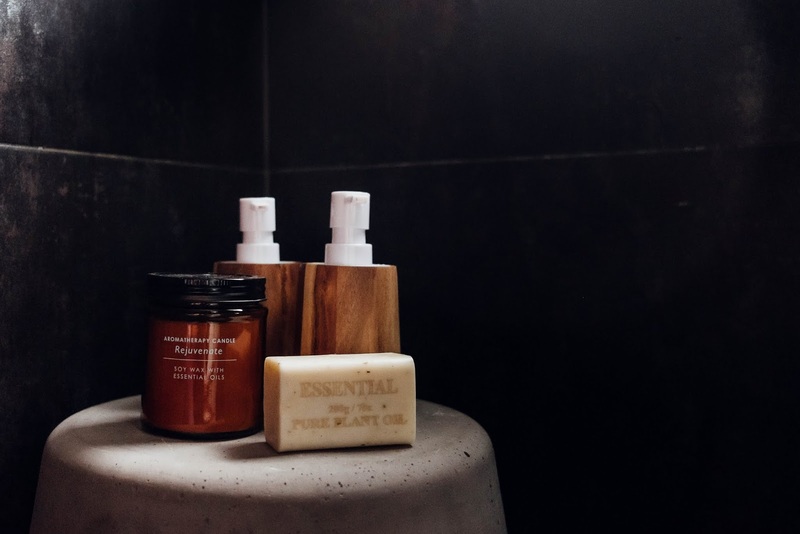 What I love about this brand is that it is relatively cheap, found at most drugstores, and infuses natural ingredients to give it a fantastic scent. While I have had some products not turn out the greatest (not necessarily their fault, just not for me), this was a definite keeper. You can buy it in a small one time use package for around $3 or get the tub if you feel daring. At first, I got the single-use packet and used it on my dry strands. It brought so much shine and moisture back into my hair that I immediately went out and bought the full tub. As a curly haired girl, it can sometimes be hard to find a deep conditioner that doesn't weigh down my strands. This mask kept my hair lightweight, moisturized, and helped add volume to my curls. While I can't say this necessarily does anything beneficial to my skin, it helps my mental state (which should be a priority in your beauty routine). They have an assortment of bath soaps and salts for any of you that love a good spa night. Personally, I like using the nighttime and muscle relief salts in my bath. This brand is inexpensive and can be found at your local Wal-Mart. Again, if you don't want to commit to a full bottle, they usually have small packets for one time use. They mix a beautiful array of sents and aromatherapy to give you incredible sensations. I've used there muscle ache lotion before, and it really did help soothe some knots in my back. Even if you don't believe in aromatherapy, these are still great to smell while lying in a warm bath. I wish I had found this years ago. Typically, my shower gel is just some generic brand found at whatever store I'm grocery shopping at. One day I came across this brand and, being completely honest, bought it for how it looked. Anything that says natural and comes in a neat bottle is usually in my cart within seconds. Once I actually used it, I was immediately hooked. The tea tree helps cleanse and exfoliate at the same time. I've already gone through one entire bottle (which they are relatively large) and already went back for more. The brand has several different scents and lotions, but this has been my favorite so far. If you are into packaging, this is also an excellent purchase for its convenient pump. Don't forget that it is also made of organic and natural ingredients, so you don't have to be worried what you are lathering your body in. This is a product I've talked about in a few of my older articles. It is not for the faint of heart though. I would definitely say you should only use this if you are incredibly dry. Kind of like Vaseline, this thick crème leaves an oily residue that you can feel all day long. For most, this might sound unappealing. I usually don't use this during the summer because of how thick it is (you can go for their regular lotion instead). However, during the colder months, this little jar comes in handy. While my regular lotions just don't do the trick during the cold months, Nivea does not disappoint. It coats my skin and keeps me from flaking all over my clothes. The best part about this product is the fact that a little goes a long way. I've had the same jar for over a year and have barely gone through half of it. This was another gem I received in my Glossybox for the month of October. Unlike other charcoal face masks, this one is a sheet that doesn't leave a weird black film that you have to wash off. As a girl who loves sheet masks, this has become a new favorite of mine. It leaves my skin feeling soft, supple, and clean. It worked amazingly on my sensitive skin (some give me a little rash) and it really did help dig up impurities that were in my pores. I'm pretty sure I even have my boyfriend hooked on these after one use. Yes, I know this isn't necessarily a skincare product. However, I feel like it is a priority to put down on my November favorites. We all have that go to nail color during certain times of the year, and this is definitely mine for fall/winter. The color is a beautiful burgundy red and goes on smoothly. I quite literally go through an entire tube each year. If you are in the market for a beautiful deep red nail color, you will love this. I'll leave all the products I talked about below in case you want to try them out yourself. Most all of these can be found at any drugstore and, for the most part, are inexpensive. I always try to keep my skincare relatively cheap and easy to purchase anywhere. 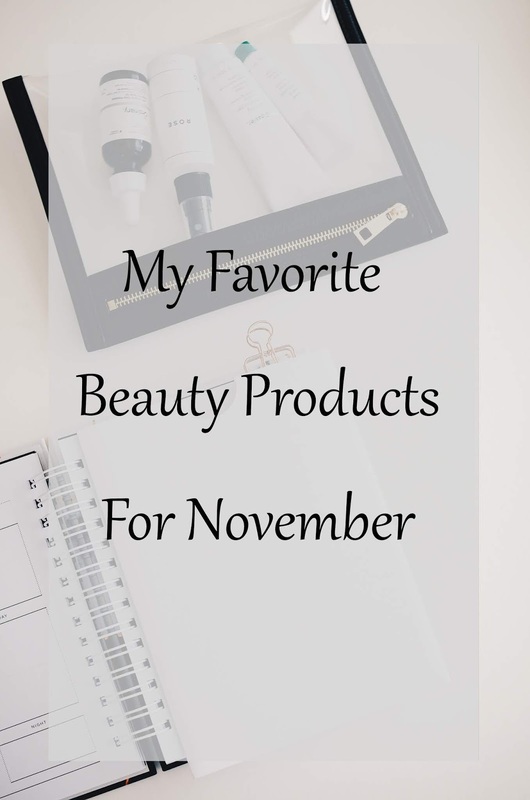 Let me know in the comments below some of your favorite beauty products for November! When I saw the creme by Nivea I was like, "I have that one!" lol! I have dry skin and really love keeping it hydrated so that creme is an automatic go to. Plus my fam is from Jamaica and there's a brand there that I can't get in the states and the Nivea is the closest version. Love this list!! Thank you :) I am the same with my dry skin! It gets so bad during this time of year so I feel like Nivea is hands down the best option I have ever found.